Two weeks ago today I emerged from the wilderness after two days and two nights alone, on a vision quest in the Cascade Mountains of Washington. day 2 of vision quest. late afternoon, early evening o’clock. 6 meals missed. this is an interesting time to think of hunger because I am really hungry. 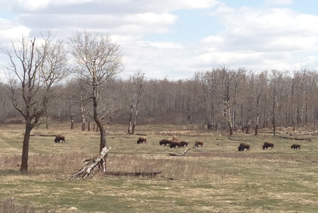 As part of the process to prepare for the vision quest, I went for a walk in Elk Island National Park, Canada’s first wildlife sanctuary, and now home to North America’s largest land mammal – the bison. They welcomed me to the trail head. They surrounded me while I paused midday for a snack. They shared their land with me. 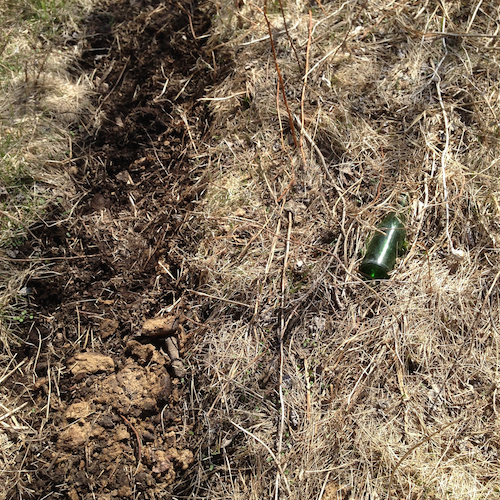 And as I followed one of their trails off the official trail, I came upon a green, glass bottle. 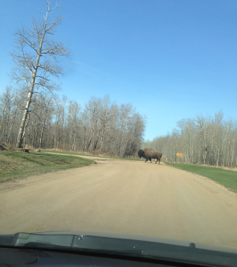 These bison are here because of a series of human interventions. Humans created this sanctuary, a sanctuary needed because of human activity. 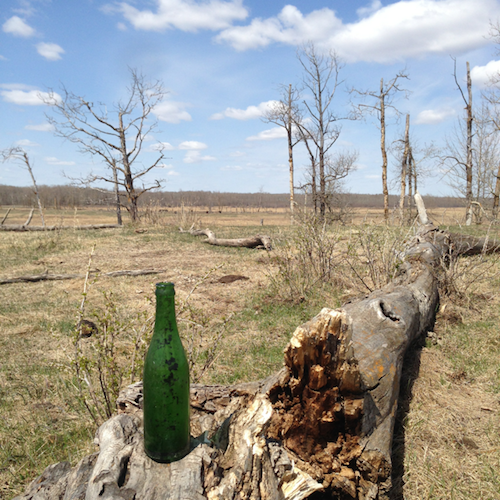 But in the middle of this natural area the bottle was out of place. I know nothing of its story, of how long it has been here, or who left it. The only thing it could tell me was that was made in Canada (this was imprinted on the bottom). I picked it up, initially because I felt a need to carry out any garbage I found. As I carried it around with all my own questions about the bottle, I wondered what questions the bottle might have for me. We walked together and we sat together. For what are you a vessel? On that last night in my tent, hungry, the beginnings of an “answer” came.